Bud Williams, in many respects, was the leading expert on livestock handling and stockmanship on the planet. I never had the opportunity to meet Bud personally, but I have learned from several people who learned directly from him - notably Roger Ingram (my predecessor as livestock advisor) and from Steve Cote, who teaches and writes about Bud's techniques today. Old Attitude: "I'm going to MAKE that animal do what I want." New Attitude: "I'm going to LET that animal do what I want." Old Attitude: "That miserable [fill in your own profanity] cow [or sheep, goat, etc.] broke back [missed the gate, charged me, got sick, etc.]. New Attitude: "What did I do to cause the animal to react that way?" "The best handlers have the best attitudes. They watch, adjust, and constantly move to where the stock show them the need to be to get the job done right, all the time." As I've worked my own sheep, and helped other producers handle cattle, sheep and goats, I've realized that low stress stockmanship is a continual learning process. The key, for me, is that I believe in it - I've seen the results when it works well! When something doesn't work, though, I don't abandon my belief in the approach; rather, I think about what I could have done differently. Thoughtful stockmanship requires us to assume that if the animals aren't doing what we expect or desire that they are trying to communicate with us (rather than misbehaving). This idea that stockmanship is a lifelong learning process, at least for me, is what separates Bud Williams from Temple Grandin. Dr. Grandin's facility designs are excellent, but in many ways they are designed to minimize stress on livestock when the handlers using the system are not students of stockmanship. Bud Williams' designs, on the other hand, work amazingly well because they are based on the principle that the handlers understand livestock behavior. The "Bud Box," which we use in our sheep corrals, is a great example of this principle. Bud taught that animals will follow certain instinctive behaviors if they are in a normal mental state. Animals want to move in the direction they are headed; they also instinctively prefer to exit a pen where they entered it. They want to follow other animals (in other words, movement creates more movement when working with a herd or flock). They want to see what is pressuring them. If we want them to speed up, we can walk in the opposite direction of their movement; walking in the same direction as the animals will slow them down. The Bud Box system takes advantage of these behaviors. Unlike the solid-sided, curved alleys and sorting "tubs" typical of many of the Dr. Grandin-designed facilities I've seen, the Bud Box is simple, open-sided, and straight. The Bud Box itself is a smallish pen at the head of the alley (for our sheep corrals, this pen is 8 feet by 10 feet - big enough for 8-10 ewes). The direction of movement into the alley is back towards the location where the animals entered the corrals (so they naturally want to return there). The opening at the head of the alley allows the animals to move away from the pressure of the handler working in the Bud Box - this handler simply walks from the opening diagonally through the Bud Box, which induces the animals to move away (and into the alley) in a calm manner. From there, a handler can walk with purpose in the opposite direction of the animal flow through the alley - this will induce the animals to move up the alley (towards a squeeze chute, or in our case, towards our sort gate). All of this can be done WITHOUT yelling, whistling, or using hot shots (or even rattle-paddles) to force the animals to go where we want them to go. In our sheep operation, I've found that I can sort a group of sheep quickly working with just a dog. The dog helps load the Bud Box. The sheep are trained to the system - they will usually put themselves in the alley. While I stand at the sort gate at the end of the alley, the dog walks in the opposite direction of the sheep in the alley, which causes them to move forward (and through my sort gate). Last month, we held a workshop on trimming feet and giving vaccinations to sheep. Using a drone, Roger was able to provide a bird's eye view of the Bud Box. This YouTube video shows us loading the alley, scanning ear tags, and sorting a wether into a holding pen. Working animals rarely goes perfectly! Problems, at least when I'm in the proper frame of mind, are learning opportunities. Stockmanship requires cross-species communication (indeed, in the video above, there are sheep, dogs, and humans trying to communicate with one another). In my experience, time for reflection is also important - thinking about what worked (and what didn't) can make us better stock handlers! Get Your Hands Dirty! Sign up for our Winter/Spring Workshops! As anyone who has ever cared for livestock at a commercial scale will tell you, animal husbandry requires a wide range of skills. 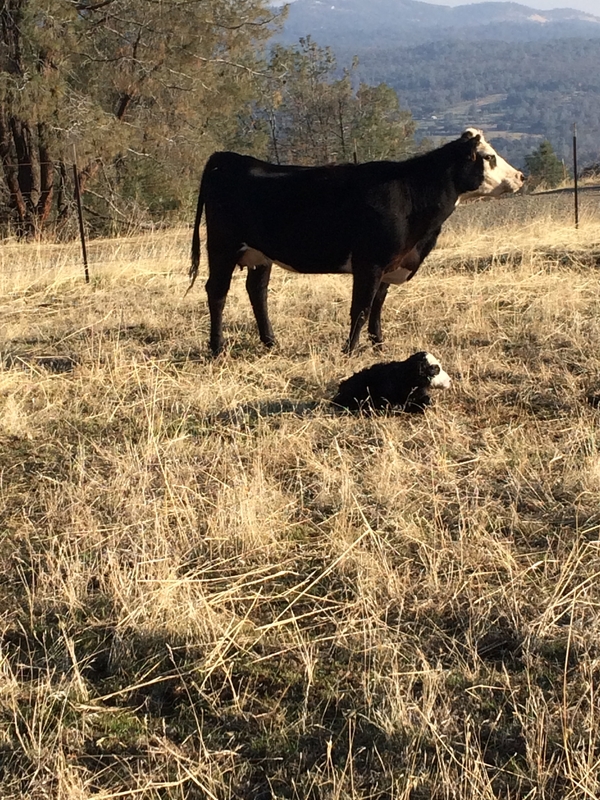 Ranchers must be animal behaviorists, veterinary technicians, bovine (or ovine, caprine, etc.) midwives, meteorologists, accountants, irrigators, carpenters, mechanics, marketing specialists…. 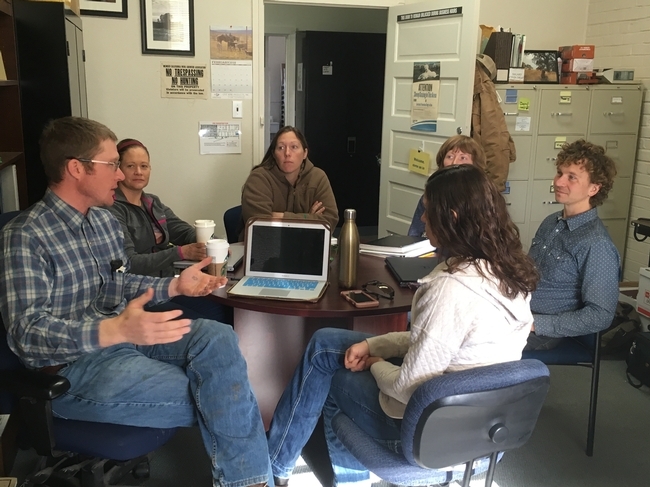 Like Jim, I find that I learn best by doing - hands-on training, at least when it comes to ranching, is usually preferable to sitting in a classroom. I also find that I learn best from a combination of rancher-to-rancher sharing and expert instruction. This kind of learning, at least for me, provides a faster return on that 10,000-hour investment. Our Winter/Spring 2019 workshops offer this unique combination! Get to know other farmers and ranchers in our area. Enjoy a chance to relax and talk with other agricultural producers about farming and ranching issues. We will have a presentation on whole farm revenue protection and other crop and livestock insurance options from Domenic Fino of Golden Pacific Crop Insurance. 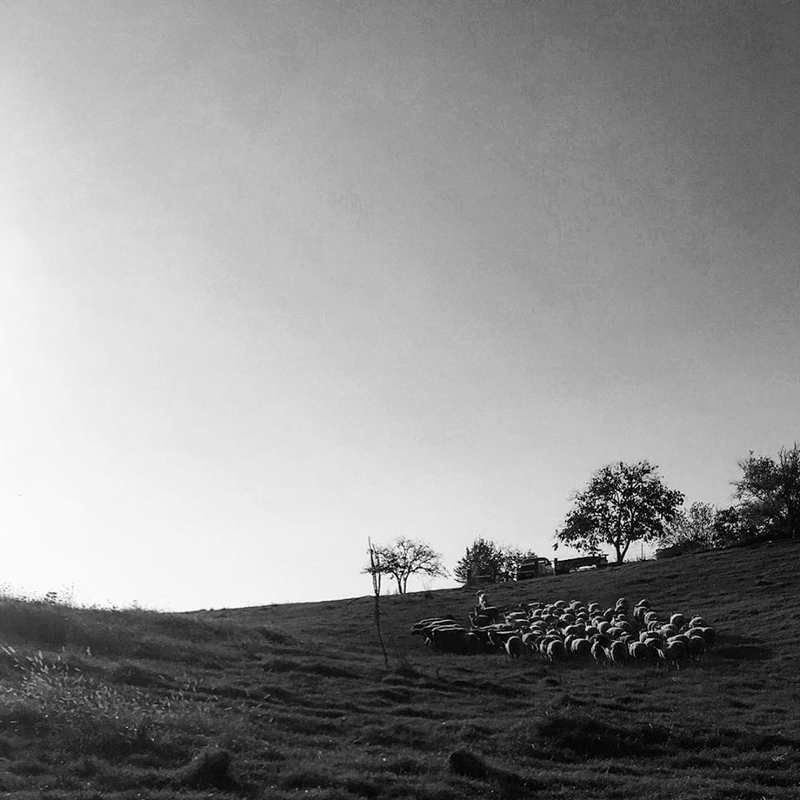 Join other new and aspiring shepherds for an evening workshop on general sheep husbandry, production calendars, sheep nutrition, and economic analysis. This hands-on workshop will include information on vaccinating sheep, ewe management, ewe nutrition, and general husbandry topics. Rain or shine! Join other farmers and ranchers for a 6-week, 8-session short course covering farm economics, cash flow management, operations planning, risk management, and marketing strategies. The course is on Thursday nights (6-9 p.m.) from Jan. 31 to Mar. 7, plus Saturday, Feb. 9, and Saturday, Feb. 16. The course is limited to 8 operations. UCCE, in partnership with the National Drought Mitigation Center, the USDA California Climate Hub, and the National Integrated Drought Information System, is hosting 4 regional workshops on climate and drought resources to support short- and longer-term rangeland drought planning. Topics covered will include: A behind the scenes look at the US Drought Monitor; Overview of drought programs and assistance; and Weather monitoring and forecast products and drought early warning systems. 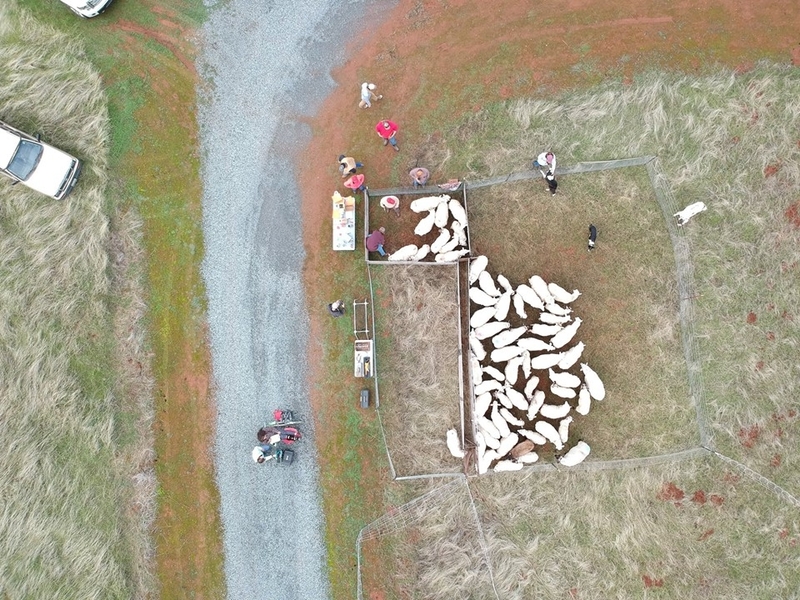 A hands-on field day including information on pasture lambing systems, processing new lambs, and making efficient use of labor. Be sure to check out my Livestock and Natural Resources website (https://ucanr.edu/sites/Livestock/) and the Foothill Farming website (https://ucanr.edu/sites/placernevadasmallfarms/) for up-to-date details about workshops and meetings! Fall Feed... or Fuel Load? As a grazer of sheep, at least from a forage management perspective, I live by the rule, "If the worst might happen, it probably will." A corollary to this rule is that pessimists are often pleasantly surprised. As a somewhat pessimistic rancher, I'm pleasantly surprised when we get fall rains and green grass before Halloween! My pessimism manifests itself in a variety of ways. Like many ranchers, one of my go-to drought preparation tools is to use a conservative stocking rate. We maintain the number of animals that we know can graze even in a dry year, rather than permanently stocking for the best years. We can always adjust our stocking rate up when we have lots of grass (by purchasing feeder lambs or grazing someone else's sheep). This also means that we save some of the grass that grows each spring to come back to in the fall - this dry forage is the buffer that ensures we can carry our livestock through until the grass starts to grow again. But this dry forage can represent a fire hazard in the summer and early autumn months. By consuming grass, broadleaf plants and brush, grazing and browsing livestock can help reduce fire risk by removing or modifying these fine fuels. For some, biomass utilization conjures images of high-tech power plants utilizing wood chips to generate electricity; for me, biomass utilization means that livestock eat plants; plants that might otherwise burn in the summer and fall. These differing perspectives on the value of (or threat from) dry forage set up potential conflicts between grazing tenants and grazing landlords. The tenant, by necessity, wants to save grass for fall (a "non-rainy day" fund of sorts); the landlord wants to reduce fire danger. How do we meet the needs of both parties? I'm not certain that I've figured out the answer to this conundrum, but perhaps our experience in managing our sheep this summer and fall might shed some light on one approach. 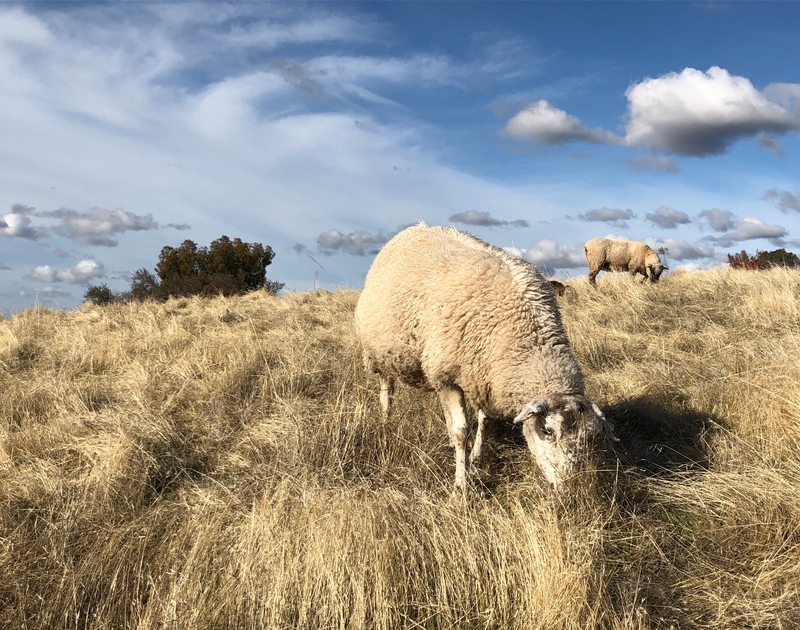 After talking with the community that owns our winter grazing land, we weaned our lambs 3-4 weeks earlier than normal so that we could move ewes back to dry forage (dry ewes have significantly lower nutritional demands than lactating ewes or growing lambs). 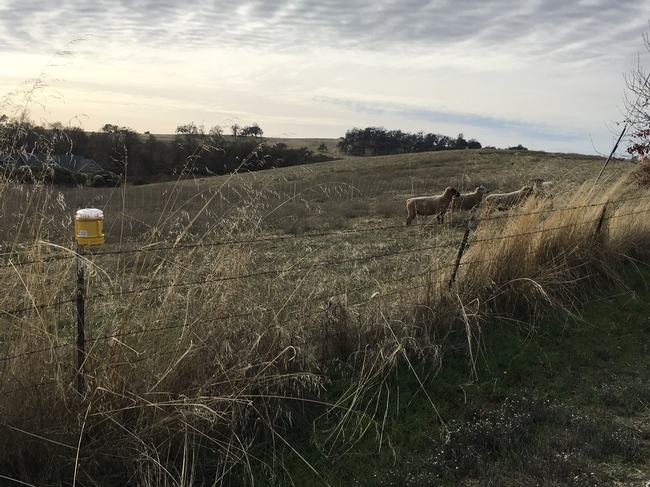 With input from the homeowners, we focused our summer grazing on the most vulnerable areas - south-facing slopes adjacent to homes, roadsides where fires could start, and weed-infested areas that needed summer grazing impact. A careful accounting of our year suggests that our efforts, while beneficial to the neighborhood, were costly to us. Our early-weaned lambs were lighter than usual when we sold them, which meant lower income. Our replacement ewe lambs haven't grown as well as we expected. Our ewes needed supplemental protein (to allow them to digest dry grass) for 3-4 weeks longer than normal, which meant higher expenses. In other words, it cost us money to manage someone else's fuel loading problem. These economic impacts are even more pronounced for cattle producers. Since sheep and goats have much shorter gestation periods, we typically have a 2-3 month window where their nutritional requirements are quite low - we can push them to manage dry forage and not impact next year's lamb or kid crop. Cattle, on the other hand, must re-breed 85-90 days after they deliver their calf - which makes nutrition between this year's calving and breeding for next year's calf crop a much more critical consideration. Timing is also critical. In my experience, the critical time for reducing fuel loads with grazing is late spring and early summer - after the last rain but before the forage becomes tender dry. In reality, this means we need to cover lots of ground in a 4-6 week period - and few of us have enough livestock at that point in the grazing year to move that quickly. The challenge is further complicated by the fact that our annual grasses are less palatable at this growth stage. Ultimately, grazing can be an incredibly important tool in reducing fire danger in our Mediterranean climate. Using this tool effectively, however, has value (and costs) - just like any other fuel-load reduction tool. As a rancher, I want to make sure I have some dry grass to come back to in the fall. This doesn't solve the fuel-loading problem; my community's fuel load is my fall forage. We need to re-think our grazing arrangements to reflect this reality! 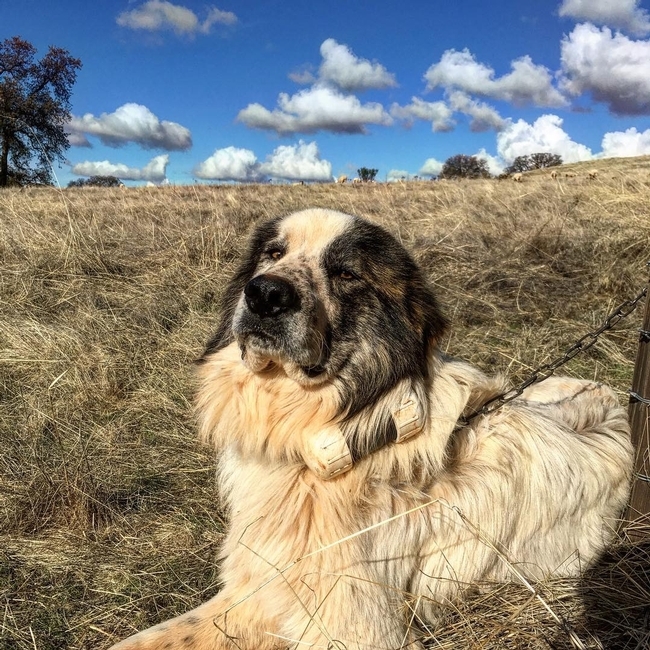 Which Livestock Guardian Dog Breed? But livestock guardian dogs are not the only tool available! Some recent research suggests that an ever-changing mix of livestock protection tools may be necessary. Predators can adapt, and so must livestock producers. A 2017 paper in the Journal of Mammalogy tracked the adaptive use of a suite of nonlethal livestock protection tools in Idaho (see Stone et al. 2017, "Adaptive use of nonlethal strategies for minimizing wolf-sheep conflict in Idaho"). Other research acknowledges the difficulty designing experimental studies to analyze the effectiveness of specific tools (see Eklund et al. 2017, "Limited evidence on the effectiveness of interventions to reduce livestock predation by large carnivores"). But formal research isn't the only approach to determining whether a given tool works in a specific environment. On-the-ground use of these tools by ranchers in real-world production settings is invaluable. In my experience, the success or failure of a particular livestock protection tool depends, at least in part, on the paradigm and know-how of the person using the tool. I expect the livestock guardian dogs I've "trained" to work in my environment - and when they don't, I try to learn from my mistakes. My own hands-on experience with these dogs gives me a greater level of comfort in using them in a variety of settings. Similarly, my familiarity with electro-net fencing helps me adapt this tool to our environment. Recently, a group of colleagues and I received grant funding to put on a series of Livestock Protection Tool Field Days in a number of northern California counties that have been visited by gray wolves (Nevada, Sierra, Plumas, Lassen, Modoc and Siskiyou). 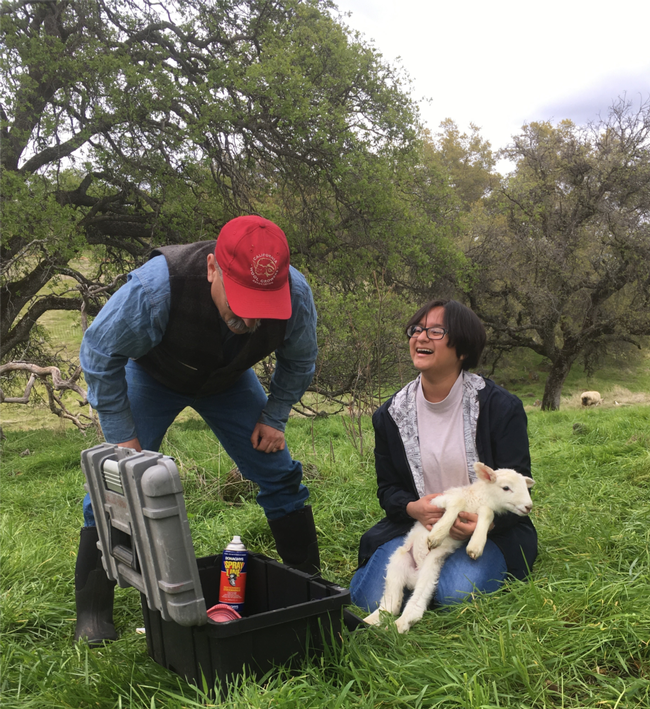 These field days will be held in late March 2019 (check the calendar on my website for exact dates - go to https://ucanr.edu/sites/Livestock/). In addition to providing information about using livestock guardian dogs in rangeland environments with both cattle and sheep, these field days will give producers an opportunity to set up and use some additional tools, including electro-net fencing, turbo fladry (an electrified fence with flapping red flags that apparently deters wolves), and FoxLights (a device that emits random flashes of light to mimic a person with a flashlight). This week, we are testing the FoxLight devices in small foothill paddocks. I'll be setting up trail cameras to detect whether the coyotes and foxes are deterred by the lights - but the ultimate test will be a lack of predation! One of the lights is in a hard-wire paddock that has had coyote incursions in the past; the other is in an electro-net paddock. Stay tuned! We've also purchased a half-mile of turbo fladry. Sometime in the next month, we'll set up a fladry barrier to familiarize ourselves with setting it up and taking it down. Stay tuned for information on this, as well! As with any tools, there will be a learning curve for these new techniques. 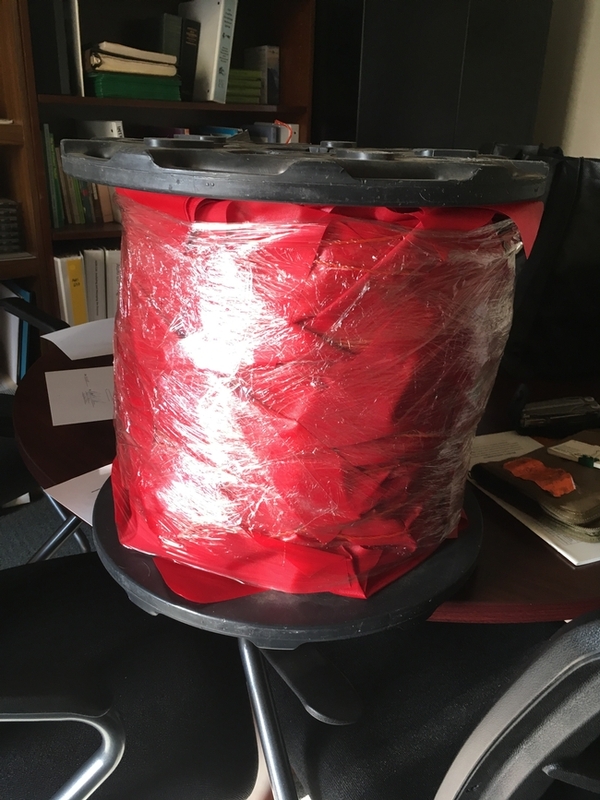 I've built lots of temporary electric fence, but laying out a quarter-mile of poly-wire with red vinyl flags will take a different technique. I'll need to learn to place the wire at the proper height to deter wolves. I'll need to figure out how to re-wind the fladry. As always, I'll track the cost of using these tools, as well. With livestock guardian dogs, the costs include dog food and vet bills. With fladry, the cost will mostly involve my own time. Finally, I know that I learn best by doing. Reading about a technique or a tool is a helpful introduction, but I need to use these tools in a real-world setting to gain any sense about their effectiveness - and about my willingness to use them. I suspect many of you feel the same way! I hope you'll be able to make one of our field days in March! As I write this post, the first few drops of rain are falling on our part of the Sierra foothills since early October. Here in Auburn, those early autumn rains were enough to green up our annual rangeland; other parts of the foothills and Sacramento Valley weren't so fortunate. And even the areas that experienced germination have since seen most of this new grass wither in the prolonged dry period since those first storms. For some of us, the word “drought” has crept back into our vocabulary – we have a long way to go in our rainy season, but the lack of fall feed and stock water is a concern for many. 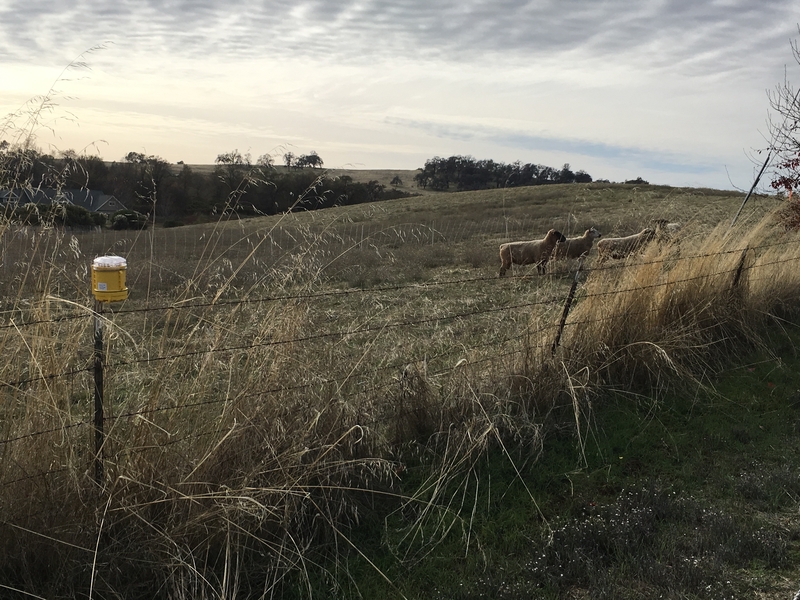 Thanks to the leadership of Dr. Leslie Roche, our UC Cooperative Extension Specialist for rangeland management at UC Davis, county range and livestock advisors and other range professionals are reporting local conditions to the U.S. Drought Monitor on a monthly basis during the fall, winter and spring. Based on local observations, formal measurements of forage production, and reports from ranchers, these monthly updates bring greater resolution – and more on-the-ground perspectives – to the U.S. Drought Monitor's weekly drought reports and longer-term drought forecasts. 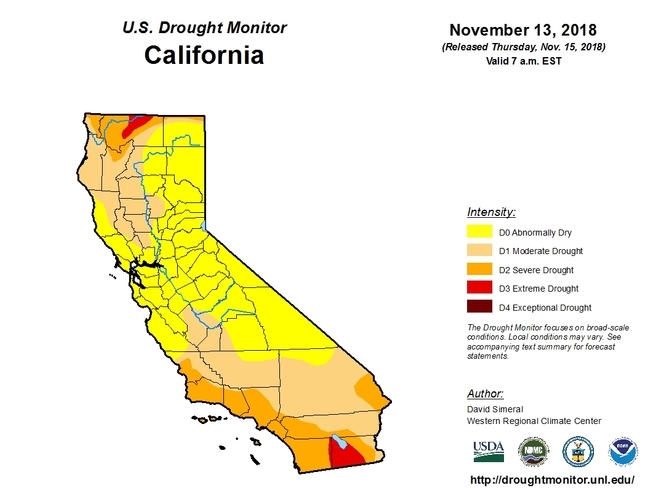 A comparison of last week's California drought map (top) with this week's map reflects our most recent report! gauge (which provides an accurate and standardized measurement), I simply report precipitation when it occurs by using the network's phone app. Using the app, I can also view nearby precipitation amounts on county and regional maps. These measurements are automatically shared with the Drought Monitor, providing real-time information about local precipitation across the U.S. The rain gauges are $31.50 and are easy to install. 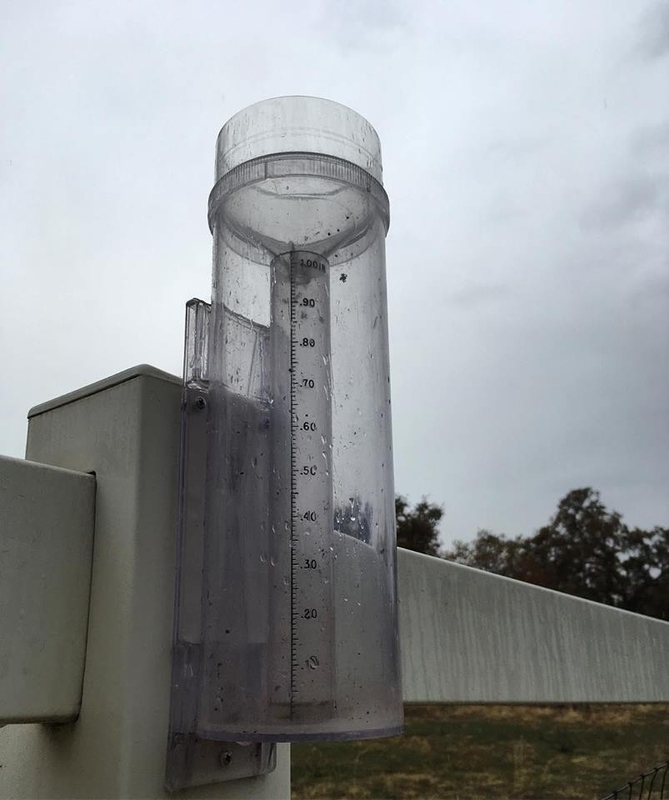 If you're in Placer or Nevada Counties, we have a limited supply of rain gauges available to farmers and ranchers who sign up to be COCORAHS reporters. Contact me at dmacon@ucanr.edu for details! The National Drought Mitigation Center has also developed a new report form that allows users to enter site-specific conditions like precipitation, creek and spring flow, forage conditions, livestock impacts, and other drought-related effects. While our network of advisors and rangeland professionals is providing monthly input via this report, individual farmers and ranchers can also report conditions directly at https://survey123.arcgis.com/share/49e1807892e143b5b8256e0128cf3ddb. While quantitative data is important (like precipitation amounts, pounds of forage production per acre, soil moisture and temperature, etc. ), qualitative data is also critical to informing the Drought Monitor. For example, if your creeks are typically flowing by Thanksgiving, but are not flowing this year, report that fact! If you've noted that the early germinated grass has since died, report that as well! Each data point, whether quantitative or qualitative, improves the resolution of the weekly drought maps! Finally, the UC Rangelands website has an outstanding Rangeland Drought Information Hub, with links to the Drought Impacts Reporter and Drought Monitor, weather and climate information, our Voices from the Drought audio archive, and research-based information on preparing for and responding to drought conditions. Check it out at http://rangelands.ucdavis.edu/drought/. Thinking about Hiring a Targeted Grazing Contractor? Here are a Few Things You Need to Know!